A Domestic Violent Disclosure Scheme (DVDS) will give individuals an opportunity to make enquiries about someone who they’re in a relationship in with, or who is in a relationship with someone they know, where there is a concern that the person may be violent. Anybody any can an enquiry, but information will only be given to someone at risk or a person a position to safeguard the victim. The intention is to give potential victims information about the history of their partner, so they can make an informed decision about the relationship. 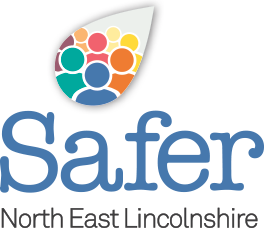 Members of the public who wish to make an application under the DVDS are asked to call Humberside Police on 101 or for more information you can visit the Gov.Uk website – Domestic violence disclosure scheme: guidance. The Domestic Violence Protection Orders (DVPO) allow senior police officers to act instantly to safeguard families they consider to be under threat from perpetrators of domestic abuse. The police have the power to protect victims of domestic abuse by removing violent partners from the family home. These powers give victims of domestic abuse the time, space and support to plan a safer future, by keeping the perpetrator away. If abusers breach the Order it could then lead to a prison sentence. As part of the scheme, victims will also be offered help and advice by caseworkers on the options open to them – including securing a longer-term injunction. For more information you can visit the Gov.Uk website – Domestic violence protection orders. There are two types of injuctions: Non-Molestation Order or Occupation Order. Non-Molestation Order is put in place to ensure the safety and well-being of yourself and your children from a partner, ex-partner or someone you are or have lived with. Occupation Order is put in place to regulate who can live in the family home and also restrict the abuser from entering the surrounding area. Both of these orders can be granted for 6 – 12 months. For more information you can visit the Women’s Aid website – Getting an injunction.